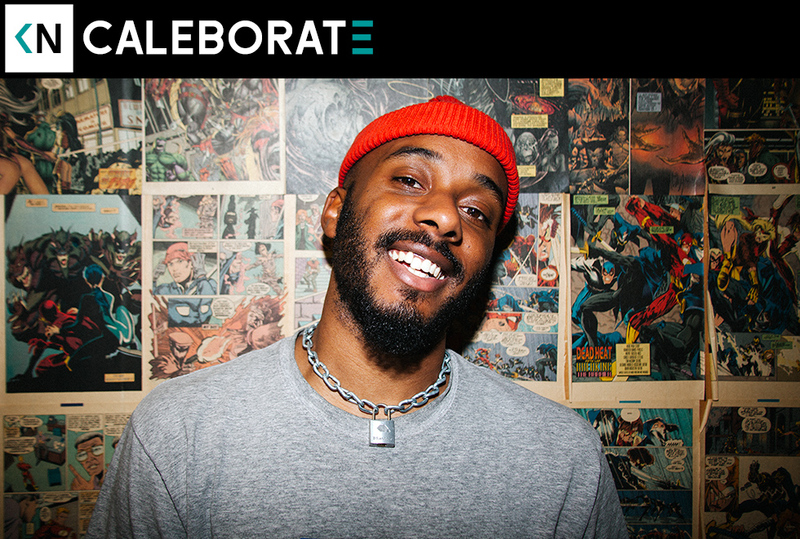 Caleborate continues a counterintuitive trend in my listening habits. He’s a rapper influenced by J.Cole that I personally find more listenable than J.Cole. I guess that specific generation is starting to gain traction. KN alums like J.I.D. and Deante’ Hitchcock are prior examples of the phenomenon. Caleb breaks breaks our ongoing theme of bad dad relationships leading to great art. When his folks split as a kid, he and his brother decided to stay with their father. His dad was a working playwright and occasional teacher. They were no strangers to making a dollar stretch, and making it work. He instilled a sense of wonder and creativity in Caleb, acting in many of his fathers plays as a kid. After quitting basketball at 16, He started working on raps. His dad knew a guy with a studio and he started to hone his skills. After bouncing around a few colleges in the Bay Area, he met his current manager while working at the flagship Levi’s store in SF. He’s been putting in a ton of work, releasing Real Person, 1993, and Hella Good all within a 2 year period.